The National Agricultural Seeds Council (NASC), located at KM 29, Abuja-Lokoja Highway, Sheda, Abuja, Federal Capital Territory, is the agency of government established by the Act 72 of 1992, saddled with the responsibility to coordinate and regulate the production, marketing, trade and use of seeds in Nigeria. The Council has a vision of creating a seed industry in Nigeria that is market-driven and capable of producing and distributing high quality and improved planting materials that are accessible and affordable to farmers. This is with a view to transforming the Nigerian seed system into a leading seed industry in Sub-Saharan Africa and worthy of generating foreign exchange, become a key employer of labour and contributing positively to the country’s economy and key into the Green Alternative strategy of the Federal Ministry of Agriculture and Rural Development. The Council’s specific functions include, certification and quality control of seeds, Seed industry development & technical support services, coordination and monitoring of Breeder, Foundation & Certified seeds production and utilization, information, planning and data management, collaboration in the registration, release and publication of new varieties approved for commercialization in Nigeria, assistance in the development of private sector participation in seed production, receipt and processing of applications for seed import and export, seed law enforcement, capacity building and training of stakeholders in the seed industry. Pursuant to the highlighted brief above, NASC with support from Alliance for Green Revolution in Africa (AGRA) is seeking the services of an experienced consultant to develop a strategic plan to strengthen and reposition the Council for efficient delivery of its responsibility in developing the Nigerian seed industry. 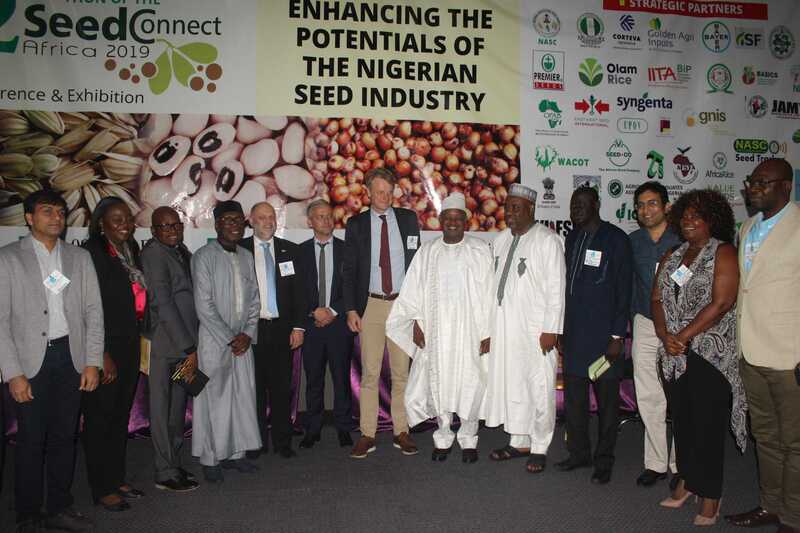 The overall objective of the assignment is to develop the institutional strategic and regulatory plan aimed at providing the strategic direction 2020-2025 for the seed sector in Nigeria as well as strengthen the capacity of NASC in the discharge of her responsibility in coordinating and regulating the Nigerian seed industry. Determine strength, weaknesses and constraints to the development of the Nigerian agricultural seed sector, and elaborate on measures/actions needed to achieve a viable seed sector in Nigeria. Determine and develop key performance indicators and an image of success for the seed sector in Nigeria over the next 5 years. Identify and characterize and select specific practical solutions/technologies/practices that can be promoted, adopted with the potential to increase the availability and accessibility of quality seeds to farmer. Based on the vision of success over the next five years, identify the cost centres and develop evidence-based investment/funding strategy implement the vision. Conduct a detailed Capacity Needs Assessment for the Council and suggest possible solutions to enhance performance. Develop a two year implementation for sustainable and practical approaches for effective seed industry regulation and harmonisation with international seed industry best practices. Produce a robust strategic plan document that would guide the Council in executing its responsibility through efficient service delivery. 4.0 OUTPUT AND REPORTING REQUIREMENTS. Two technical reports – a confidential analytical report on the performance of NASC as an organisation answering the questions on relevance, effectiveness and impact and a broader report covering the consolidated analysis of the entire Council and the Nigerian seed industry. Report of strategic plan development process. 5.0 NASC invites applications from eligible consultants or consultancy firms interested in providing these services. The consultants must provide information indicating that they are qualified to perform the services (brochures, description of similar assignments, experience in similar conditions, general qualifications of key staff, and so forth). Consultants may co-bid to enhance their qualifications. A maximum of six (6) qualified consultants/firms will be shortlisted to provide detailed technical and financial proposals. a) Qualification and experience of the individual/institutional consultant. b) Approach and methodology to undertake this assignment. c) Previous experience in similar assignment(s). d) Detailed financial proposal and realistic work plan. Fluency in written and spoken English. Preferably a strong academic background in seed sector research. The expression of interest shall not exceed 30 pages. Interested consultants may obtain further information at the email address provided below. Expressions of interest must be sent to: [email protected] by close of business on March 29, 2019 at 1700 Hours) clearly marked “Consultancy for development of strategic Plan for NASC”. [AD1]You need to check the number of days again think I saw something like 30 days somewhere else in the document. In your proposal it is 25 work days.